Recently Spice has launched Stellar 526n which is an affordable android Smartphone. The company has launched this phone under the stellar series and it’s going to be available at various retails shops in few days. The main features in Spice Stellar 526n is that it runs on an Octa core processor but still its price is quite handy and anyone can get it. This octa core is quite cheap as compare to others device available in the market. Here we are going to talk more about the specification and features of Stellar 526n Smartphone. At the launching ceremony Prashant Bindal (CEO of Spice Mobility) said:- “Our customers are at the core of our company’s strategy and we always strive to introduce products that delight our customers. Following up on the excellent response to our Stellar 526 smartphone, we decided to introduce a faster Octa-Core version of the phone with excellent specifications for technology enthusiasts seeking a combination of cutting edge technology and style”. The Stellar 526 N comes with 5 inch large IPS HD display that features 1280 X 720 pixels of resolution. It runs on android v4.4 Kitkat OS and has 1.4 GHz octa core processor which works really great and with this phone you can do unlimited multi tasking. The phone has 1 GB of RAM and comes with 8 GB internal storage capacity. Talking about the camera specs of Stellar 526n, it comes with 8 mega pixels back camera and has 3.2 mega pixels front camera. It has 2500 mAh power battery which is quite sufficient to offer 10-12 hours of talktime backup time. The other specs of Stellar 529n includes Wi-Fi, 3G, Hotspot, Bluetooth, micro SD card slot, GPS etc. As I said earlier, Spice has launched White, Purple and Blue color variant of Stellar526n and will be available in few days. So, hope you will like this phone and also check out the latest tech news from our home page or click below to browse more news. Before you leave just make sure you like or share this on various social media platforms and if you have anything to say just go down and make a comment. Thank you. Gionee is once again back in Indian market with its upcoming flagship Smartphone called Gionee Elfie S8, this time it’s going to come with better camera features and high end specifications. Here we are going to talk about the specification and feature of upcoming Elife S8 Smartphone. Till now the phone is listed in TENNA listing and going to release soon. According to benchmarks listing we got some interesting specs of upcoming Gionee Elife_S8 Smartphone. It will have 6 inch with 1440 X 2560 pixels resolution that is 2K HD. The display of device will have 639 ppi which is quite impressive as recently launched Galaxy S6 Smartphone has only 577 ppi. The phone runs on a high end Quad core MTK processor and will have 3GB of RAM. The Gionee Elife S8 will have impressive camera features as it comes with 23 Mega pixels back camera and Gionee has also stated that phone can shoot 100MP pictures in resolution. While at front side, it will have 8 mega pixels HD camera. The phone will run on Gionee own Amigo 3.0 User interface with android v5.0 lollipop OS. The other specs of Gionee Elife S8 Smartphone would include 32 GB internal storage, micro SD card slot, Wi-Fi, dual SIM 4G LTE, A-GPS etc. The phone is going to release soon, most probably in the month of August. The price of this device is still unknown as the company has not made any official statement till now. My View: I think this is going to be a great device but still price matters a lot because these days many of its competitors are offering similar specs Smartphone in quite reasonable price range. For more updates on Gionee Elife S8 Smartphone stay tuned with us or can check some of similar specs device from below. Cubot a well known Chinese Smartphone maker has again announced good news as they are going to launch Cubot X10 in coming days. The phone is also rumored to world’s fastest Smartphone but still the phone is going to come under the mid range Smartphone’s category. Here we are going to talk more about the specification and feature of upcoming Cubot X10 Smartphone. The phone comes with 5.5 inch large display of 1280 X 720p resolution. Also the design of the phone is quite attractive, it has 7.3mm thick body which stands this phone out of crowd and takes more attentions. This time Cubot is going to come with waterproof Smartphone as waterproof phones are quite popular amongst potential buyers. 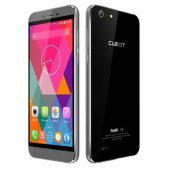 Cubot X10 runs on a Quad core MT6592 chipset which is 1.4 GHz processor and has 2GB RAM. It’s going to have good multitasking capability with Android v4.4 OS, while we can also see android v5.0 or 5.1 updates for this phone soon. It has 16 GB internal memory capacity with micro SD card slot. Talking about the camera specs of Cubot X10 Smartphone, it comes with 13 mega pixels primary camera with LED Flash and has 8 MP front cameras. Both primary and secondary cameras will be of CMOS sensors and able to shoot HD videos. The other specs of this phone include USB OTG, micro USB, audio jack, Wi-Fi and Bluetooth etc. The phone is going to release soon and it’s price will range between 150 to 200 USD which is quite affordable as Cubot will full fill the need of mid-users by providing great value to money. For more details and updates of Cubot X10 Smartphone stay tuned with us and also check more Smartphone from below links. Before you leave make sure to like and share us on social media from below buttons. 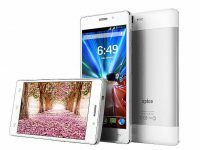 We have continuously seen that from this year Zeaplus is trying to expand its Smartphone portfolio and this time we got news that the company is going to make an official announcement regarding its upcoming flagship Smartphone Zeaplus M7 which is going to be the best mobile phone from Zeaplus till now. Here we are going to talk more about the specification and features of upcoming Zeaplus_M7 phone. From the initial rumors we got some really exciting specification of this phone. The phone is going to come with and 5.5 inch display. It will have a Full HD display with 1080p resolution which provides brighter picture quality. Zeaplus is trying come with a fast processor this time as many of its competitors are taking as their prime concern to provide better device. Z7 is going to come with 64 bit Octa core processor of MT6752 and will have 3GB RAM that will certainly boost the performance. It will have 16 GB internal memory with microSD card slot (up to 32GB). Talking about the camera specs of Zeaplus M7 Smartphone, it will come with 13 Megapixels primary camera which is powered by Sony IMX135 sensors and about 5 mega pixels front camera. The Zeaplus M7 is Dual SIM Smartphone and runs on Android v5.0 OS. It supports 4G LTE for both SIM’s. it comes with 3800 mAh battery which is quite enough to offer 15+ hour talk time backup. Except all these high end specification, it also has one innovative feature, that’s its Finger print Scanner which improves the security by providing secure locking and unlocking through fingerprints. This technology is one of the most innovative technology and very less devices are having it. You can also see similar specifications in its most competitor device MSTAR S700 which is launched few weeks ago. The price of this Smartphone is supposed to be cheap as few other companies are also coming up with similar specifications eg. MSTAR S700 Smartphone is also available at $170 USD with having 2GB RAM and Octa core processor (See complete specs). So, we are expecting that Zeaplus M7 Smartphone may have price in range of $150-$200 USD and will release soon. For more details of this Smartphone stay tuned with us and also checks out the latest gadgets making headlines this week.